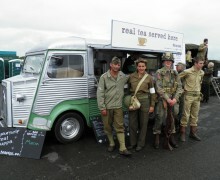 Event number five on the teapigs real tea tour was the much anticipated Wings and Wheels at Dunkeswell airfield. The Saturday was cursed with intermittent rain which meant there was limited flying action. Fortunately the Sunday was far brighter allowing the airfield to be constantly busy with a variety of aircraft including a great range of microlights. The public were also given the opportunity to take a flight and tours of the Dunkeswell hanger. On the Sunday afternoon the actor Mathew Leitch made an appearance who played Floyd Talbert in the HBO series ‘BAND OF BROTHERS’. 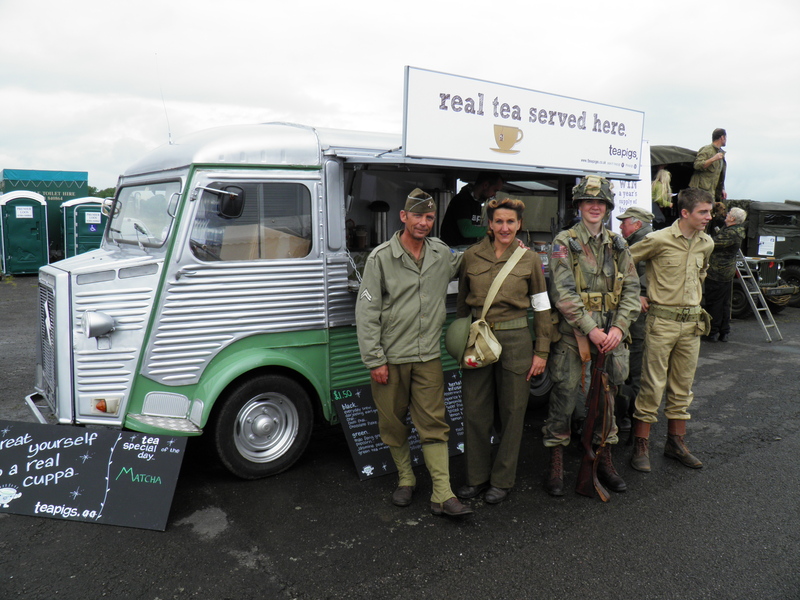 Live music from the WWII era was performed over the two days providing a great atmosphere and kept everyone in high spirits.